Jeanette Mladenovic, M.D., M.B.A., M.A.C.P. 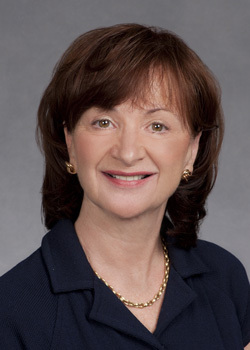 Jeanette Mladenovic, M.D., M.B.A., M.A.C.P. will retire at the end of 2016. She has served as OHSU’s executive vice president and provost since 2011. During Mladenovic’s five-year tenure, she has presided over a major realignment of the university. She was recruited to OHSU to help the university plan and construct the Collaborative Life Sciences Building and move OHSU to an interprofessional model of education. She established OHSU as a leader in this arena, removing significant structural obstacles and aligning the education mission across its numerous programs—she oversaw the alignment of 14 different academic program calendars to a single one, she created a uniform student orientation, and she moved the institution to a unified convocation. She also made it possible for students in different programs to take courses across the university, removing a considerable barrier for students. Mladenovic also transformed the academic mission at OHSU. She led the effort to establish a joint School of Public Health with Portland State University, bringing together two universities with very different cultures. She created a state-of-the-art simulation program by aligning several programs and creating world-class facilities. She initiated a new model for addressing rural health issues by creating the Campus for Rural Health. She consolidated and expanded the reach of OHSU Global, including a unique multi-mission partnership in Thailand, Laos and Myanmar. Mladenovic has been a champion for students. She established the OHSU Tuition Promise, which protects students from steep rises in tuition during their time at OHSU. She created new financial advising services to reduce debt and better tracking of available scholarship dollars. She oversaw new efforts that significantly boosted student diversity, establishing the Scholars for a Healthy Oregon Initiative and the President’s Fund, both of which recruit and retain diverse students. Student debt has markedly decreased, and OHSU’s tuition is no longer the highest in the nation. She also established several successful pipeline programs. In addition to her work with students, Mladenovic has strongly advocated for faculty and for more transparent, uniform faculty governance. 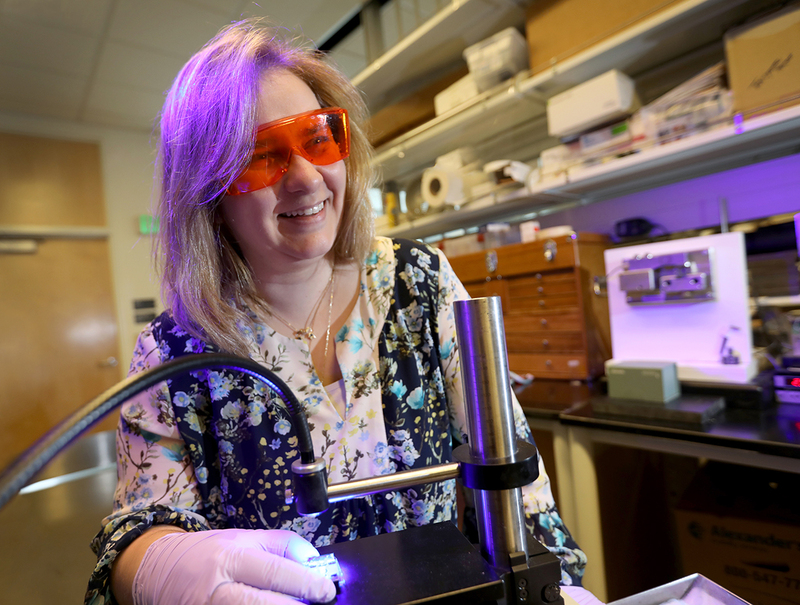 She established the OHSU Faculty News to keep faculty informed of important institutional news. She made faculty titles and ranks more consistent across the university and recruited and hired a university ombudsman. She created a new vice provost for academic career development specifically to oversee physician scientist training. She promoted the creation and funding of named professorships. And she advocated for a larger voice for faculty in important university decisions, creating the Research Strategic Advisory Council and the Neurosciences Leadership Group, as well as working with the Faculty Senate to expand its role. Mladenovic guided successful NWCCU accreditation and the revision of OHSU’s strategic plan. She brought together provost operations and university operations into two groups that made strategic operational and budgetary decisions for OHSU, creating savings by aligning functions. She also presided over numerous critical recruitments: regional associate deans for the campus for rural health; deans for the schools of dentistry, nursing, and public health; the director of the Vollum Institute; and vice presidents of human resources, campus safety, and equity and inclusion. Prior to her work at OHSU, Mladenovic had numerous other leadership roles. An AOA graduate of the University of Washington School Of Medicine, she completed internal medicine residency training at Johns Hopkins Hospital and Stanford University, and her chief residency and hematology fellowship at the University of Washington. She has held leadership roles at the University of Minnesota, University of Colorado, the State University of New York, and the University of Miami. She won several teaching awards throughout her career, and for 18 years directed an NIH-funded laboratory focused on hematopoietic stem cell differentiation. Her clinical activities have included hospital medicine and the care of patients with myeloproliferative diseases. Nationally, she has served as a member of the Board of Directors of the American Board of Internal Medicine, its Executive Committee, and has chaired the Examination Committees in Internal Medicine. She has also been active as a member of the American Board of Medical Specialties, the Association of Professors of Medicine and its Board, and the American Society of Hematology, and the Accreditation Council for Graduate Medical Education. She has authored more than 90 papers and edited four books. She is also a leading advocate for point-of-care ultrasound in medicine and medical education.